An integrated model of curative and palliative care may lead some physicians to reconsider their role in care at the end of life. If you think you're not a palliative care doctor, you might want to reconsider, said Melissa (Moe) Hagman, MD, FACP, during her talk at the Advances in Therapy precourse at Internal Medicine Meeting 2018. Rather than the old model of designating palliative care to begin at a specific point in time and separately from curative or life-prolonging therapy, she focuses on an integrated model where palliative care begins at diagnosis and continues until death, she said. Outpatient doctors and hospitalists both practice palliative care, which emphasizes control of distressful symptoms, said Dr. Hagman, an associate professor and program director of the internal medicine residency at the University of Washington–Boise in Idaho. “This is what all of us do. … It doesn't have to be hospice care; it's just being a good provider,” she said. The integrated model of curative and palliative care has support from the literature, she noted. In a trial of 151 ambulatory patients with metastatic non-small-cell lung cancer randomized to either oncology care or oncology care plus early palliative care, those in the palliative care group had better quality of life, reduced depression, and lived a median of three months longer, according to results published in 2010 by the New England Journal of Medicine. “When I talk to colleagues who say, ‘Oh no, it's not time for palliative care,’ I say, ‘It's always time for palliative care. Look, we don't kill people, and they might live longer,’” said Dr. Hagman. She offered pearls on what to start, stop, and consider when caring for patients near the end of life. Start with basic internal medicine. 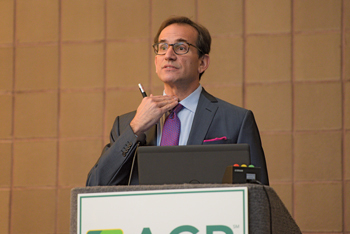 If an older patient with metastatic hormone-refractory prostate cancer has heart failure and shortness of breath, the best palliative care may be to treat his heart failure, said Dr. Hagman. “My first message to you is to continue to take care of the underlying problem. … In this case, heart failure treatment may be life-prolonging, may be disease-modifying, but it's also going to control symptoms, which is both palliative and therapeutic,” she said. Start using fans for non-hypoxic dyspnea. In addition to managing the patient's heart failure, Dr. Hagman recommended a simple treatment over supplemental oxygen for shortness of breath: a handheld fan. Two studies from 2010 and 2011 found that patients' non-hypoxic dyspnea improved when they used a fan blowing on their faces, she noted. “The dogs out the window look so happy,” said Dr. Hagman, who added that the effect cools the nasal mucosa, oral mucosa, and trigeminal area of the face, which reduces central respiratory drive. Stop statins in patients with poor prognosis and no active cardiovascular disease. 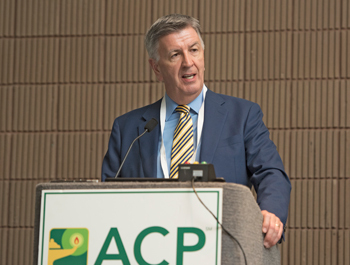 The patient with heart failure and metastatic cancer may be more likely to die from the latter, and if they happen to be on a statin for cardiovascular prevention, “Now's the time to get rid of that statin,” said Dr. Hagman. In a trial of 381 adults with recent functional deterioration but no recent active cardiovascular disease, those who discontinued statin therapy had improved quality of life compared to those who continued it, according to results published in 2015 by JAMA Internal Medicine. Plus, there was a cost-saving effect. “They saved an average of about $3.37 per day per patient, which for the population of people that I take care of, the veterans, is a gleeful thing. Just the thought that they're saving money sometimes makes them happy,” said Dr. Hagman, who noted that there was no difference in mortality. The same goes for other disease-modifying treatments, such as tight glucose control, she added. Consider time-limited trials for interventions with unclear benefit. In the fan studies, it only took patients two days to tell whether they would feel better or not, said Dr. Hagman, who recommended time-limited trials for palliative treatments. “A time-limited trial can be your friend to determine if something is actually going to be helpful,” she said. Other interventions, such as nasogastric feeding tubes and IV fluids at the end of life, may be a bad idea, but limiting the time of the intervention can help convince patients who still want to try, Dr. Hagman said. “Let's try it for two days (or five days or another reasonable time period), but let's be very clear about what the goals are,” she said. Patients should come up with a clear set of concrete goals, such as being up out of bed 50% of the time or having dinner with their family, Dr. Hagman recommended. Then, create a list of concerns, such as fluid in the lungs or swelling of ankles, and compare the benefits and downsides at the end of the trial and decide whether to continue, she said. Consider any psychological, interpersonal, or existential (PIE) contributors to symptoms. For instance, if a physician is considering medications to treat a patient's dyspnea, an opioid might be a better choice than a benzodiazepine. It won't be superior if a patient's symptoms are due to underlying anxiety, Dr. Hagman noted.